As physical therapists, our job is to rehabilitate people from injuries. We go for a long-term fix through manual therapy, strengthening and stretching. We also work with patients to build strength and modify mechanics to prevent future re-injury. Even though treating injuries is our job, our favorite way to treat clients is actually to help them prevent injuries in the first place! With winter season upon us, we see a lot of skiing and boarding injuries. Frequently they are season-ending injuries like torn ACLs that require surgery. 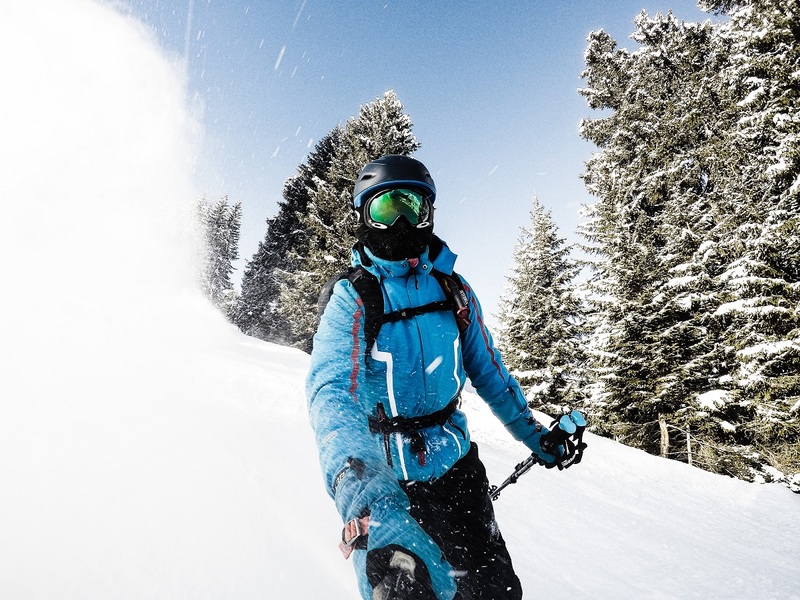 We want to help you prevent these injuries and #STAYontheSnow this winter. We’ve put together a short training program of exercises you can do from home. These exercises will help you build strength, stamina, and balance, all of which are essential to your ability to ski and ride. Building strength helps you keep your form, as well as preventing injury in the event of a fall. Balance obviously helps you stay upright, but also helps prevent fatigue. Stamina helps you keep your form during long days on the hill, preventing falls that may cause injury. As the exercises get easier for you, we’ve included modifications to make them more challenging, so you can keep getting stronger and challenging yourself. Of course, like any training program, these exercises are only a recommendation. You should always listen to your body and your personal PT or physician. But it’s never too late in the season to work on injury prevention! Have a great season out there: ski and ride safely, and #StayontheSnow! Listen to your body. Focus on keeping your form and modify to the easier version, or do fewer reps if you start struggling. Quality is way more important than quantity, to build strength and prevent injury. Start with the easiest variation, and build to the harder variations, as you get stronger! This move will strengthen your quads, hamstrings and glutes, which are your biggest muscles you use in skiing and riding. From a standing position, step one foot forward and bend your leg. Drop straight down, bending your back knee until it is almost to the floor and your front leg is at 90-degrees. Make sure your front knee doesn’t go past your toes. Squeeze your quads and glutes to return to your original standing position. To add challenge, hold weights in each hand. Like lunges, split squats build the big power muscles in your legs. Put one foot on a chair, or stair step behind you. Keeping your body upright and your weight centered, bend your standing leg and sit back into a 1-legged squat. Make sure your squatting knee stays behind your toes and don’t use your elevated leg to push off. To add challenge, add weights to each hand. Like split squats, this move works your quads, hamstrings and glutes, but also works your hip stabilizers. From a comfortable standing position, move one leg laterally out to the side and bend into a 1-legged squat. Be sure to sit back into the squat, and keep your knees behind your toes! Keep your body upright and resist the urge to lean forward. To make it harder, add weights to each hand. Wall Sits are fantastic to build up leg strength, as they work all your major leg muscles. Simply sit in an imaginary chair, against a wall. Your legs should be at 90-degrees. #Nocheating – don’t use your arms to brace yourself! If this bothers your back, you can also use a large medicine ball for extra support. Mountain climbers require full-body strength and will get your heart pumping, fast! Find a plank position, with your hands at shoulder width on the ground and your body flat all the way back to your toes. Bend one knee, bringing it up towards your elbow and then return to your plank position. Switch legs back and forth, keeping your legs in constant motion and keeping your body still. Do sets of 30 seconds to start, with 30-second breaks. Gradually increase work time to 1 minute and decrease rest time to 15-seconds. Not challenging enough? Speed it up! It’s everyone’s favorite (ha!) and one of the most challenging fitness moves out there…. but seriously, #burpees WORK ya’ll. There are many different variations and they are all great! They work every major muscle group, and will get your heart rate up very quickly. From a standing position, squat down and step your feet back into a plank position. Then step back to your squat and return to standing! To add challenge, hop with both feet as you move from your squat to a plank position. Need more? Add a pushup at the bottom and a jumping-jack or squat jump at the top. That is guaranteed to get your heart racing and your muscles burning! These work your balance, which is crucial to good skiing and riding form. They also strengthen your glutes, hamstrings, calves and low back. From a standing position, lift one foot slightly off the ground. Keeping your back flat, hinge forward from your hips and raise your leg, keeping your body in a straight line. Squeeze your glutes to return a standing position. To add more challenge, hold weights in each hand. When skiing, your hip muscles have to work overtime to keep your legs together and balanced on varying terrain. Side-lying Hip Abductors work these smaller muscles that run from your hip to your knee. Lay on your side, with your legs straight. Raise your upper leg to 45-degrees, being careful to keep it in line with your body, and then slowly lower your leg back down. If you have a hard time keeping your leg level with your body, do these laying against a wall. You can also try to above side-planks with leg raise for extra challenge. Your core muscles are essential to balance, and there’s no exercise that works all your core muscles at once as well as plank does! For low plank, start with your elbows on the ground and your feet about hip distance apart. Your back should be flat: make sure your hips don’t gradually rise or drop as you fatigue! Hold for 30 seconds, building up to 90 seconds. For more challenge, try high plank, with your hands on the ground, instead of your elbows. Add in alternating hand lifts. Add in alternating leg lifts. Put your feet on a bosu or medicine ball. Side planks work your oblique core muscles, which are a crucial component of your balance, but are often overlooked. For side plank, lay on your side and, using your elbow to support your body weight, lift your hips of the ground. Hold for 30 seconds, building up to 90 seconds. For an even tougher variation, go to high plank and balance on your hand instead of your elbow. Add in a dip and raise your hips up and down. Add in a leg raise. Open and close your raised arm for more balance challenge. This entry was posted in Blog and tagged balance, exercises, injury prevention, ski season, snowboard, stamina, strength, training. Bookmark the permalink.